On Saturday 6/23/18, I found the hanger on the 5th bolt (second to last) on P1 slightly bent. You can still clip it, but it may need to be replaced. 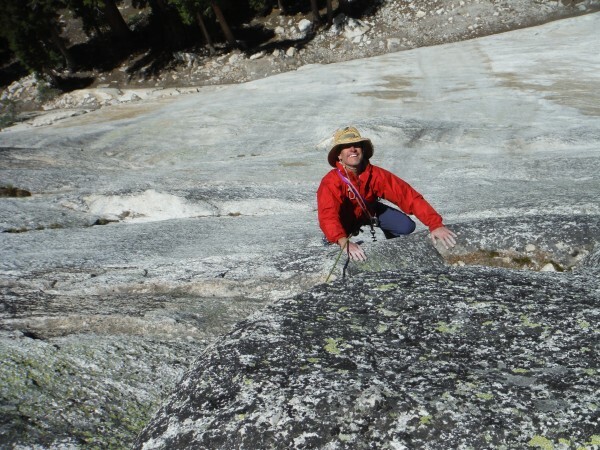 Another high quality Tuolumne face climb. We only did P1, but the route goes up another 2 pitches. Nice work Byran and Greg! Lots of new high quality routes on Razor Back! 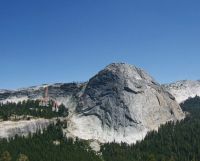 We parked at Pothole Dome, hiked up to Marmot Dome, then traversed over to Razor Back. Great afternoon setting - get up there and check it out!